Ibibio Sound Machine has never put out a weak release. The group's output is consistently both fun and finessed, the peaks and valleys largely unremarkable in that every track is a good track at the very least. New album Doko Mien continues in this same vein, blending highlife spirit, electronic pop beats, and Afrofunk brass together for an album that keeps the party going from start to finish. As frontwoman, Eno Williams is exuberant and emotive, with a voice that sounds fresh at all times. That is as true on Doko Mien's quick songs as its slow ones, of which there are a few. In comparing this album to the group's first two, songs that fall into the latter category stand out as places in which the group have definitely improved. Near the end of the album, spaced-out "Kuka" and velvety "Guess We Found a Way" are soothing and soulful, while several tracks earlier, "I Know That You're Thinking About Me" stays downtempo but maintains a little movement, a sensual chillout R&B-meets-contemporary Afrobeat jam. A sweet interlude comes in the form of brief "I Will Run", where dreamy vocal harmonies let in some extra light. It wouldn't be an Ibibio Sound Machine album without high energy, though, and Doko Mien delivers that in spades, right from the start. Opening track "I Need You to Be Sweet Like Sugar" is an explosive masterwork of wild complexities, bright 1980s-esque synths giving way to Afrobeat rhythms and downright filthy guitar parts. Brass and bass together add a low end to this midtempo number as Williams punches out a chorus with pure staccato power. With hints of Talking Heads, Prince, and Tony Allen alike, it makes for a promising start. The tracks that follow are less mind-blowing, but still excellent. "Wanna Come Down" and "Tell Me (Doko Mien)" are strong and structurally sound earworms. As with many an earlier Ibibio Sound Machine track, each one is catchy and made for the dance floor. "Just Go Forward (Ka I So)" and "She Work Very Hard", too, have serious drive and movement. Infectious though they are, none are quite as memorable as some of the band's previous standouts. Still, all make for lively additions to the Ibibio body of work, as does Doko Mien as a whole. With its first two albums, Ibibio Sound Machine set the bar high for its music. The group's self-titled debut introduced us to a band ready to go all in with a mixture of classic Nigerian rhythms and quirky electronics, while Uyai took an even more innovative approach with summer-ready brass and bright disco hues. Doko Mien largely sticks to this same palette of funk and retro electropop, but adds sophisticated depth with languid numbers that let Williams show a different end of her tonal range. She can croon as well as she can belt, and the rest of the band ably takes on the cooler vibes. 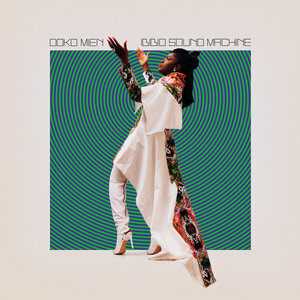 Even if it treads less new territory than Uyai did, Doko Mien shows Ibibio Sound Machine's versatility as the group continues to bring Lagos and London together in new ways.